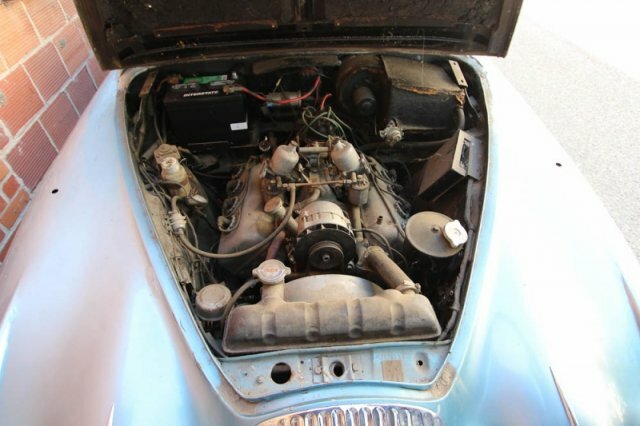 You are looking at a very rare Daimler V8 250. This is a solid car in need of restoration. It was an original UK car that was brought over at some point. The car is surprisingly solid, showing just a little rust in the rear jack points. The floors, boot floor, and spare wheel tray are not rusty at all. It fires right up and sounds great, but has not been driven. This is a complete car that will make a great restoration project. We consider these cars to be just a little better than a Jaguar due to the V8 engine.